The font used for the game logo in the box art is Trebuchet Bold & Bold Italic. Insipred by the motorway signage in America and sans serif typefaces like Akzidenz Grotesk and Alternate Gothic, Trebuchet is a humanist sans-serif typeface designed by Vincent Connare for the Microsoft Corporation in 1996 and released freely by Microsoft as part of their core fonts for the Web package. The font family is now available for purchase at Myfonts.com. 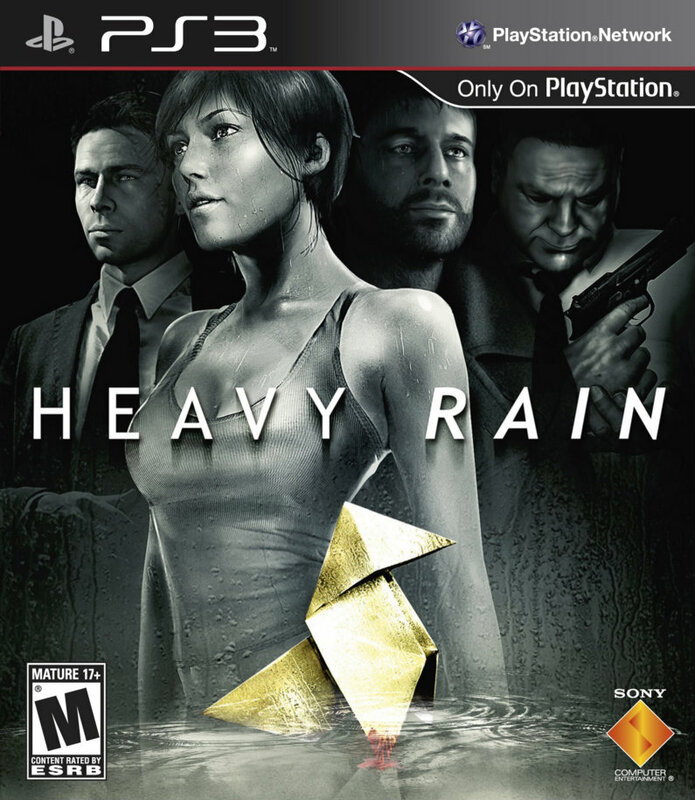 In addition to Heavy Rain (video game), Trebuchet typeface is also used in the following logos, movie posters or album covers etc., including: Lululemon Athletica, Lux Mundi, NPR.